The Atkinson Center for a Sustainable Future’s Academic Venture Fund (AVF) supports collaborations that cut across disciplines to address today’s greatest sustainability challenges. In 2018, the fund awarded $1.5 million to a range of projects that will provide sustainable solutions around the world, from the Finger Lakes to the Pamir Mountains in Central Asia. Among the 12 projects are efforts aimed at transforming nutrient-rich poultry waste into economically viable fertilizers; developing in-situ conservation strategies for African rice; boosting nature-based engagement for elementary schools in low-income communities; and connecting rural and urban areas across New York state through a public “Internet of Things” infrastructure. 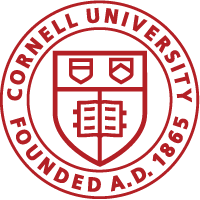 Three projects are co-sponsored by Cornell’s Master of Public Health program, an interdisciplinary degree that grew out of the Atkinson Center in fall 2017. The Atkinson Center is also partnering with the Office of Engagement Initiatives (OEI) in support of Engaged Cornell, which provides $10,000 grants for AVF projects that incorporate undergraduate research opportunities and community engagement.